​Manufacturers slow to implement digital supply networks may risk being left behind. But how can company leaders know which digital technologies will yield the most business value, or whether the time is right to invest in making a change? One of the most common and obvious manifestations of this change can be seen in the increasing adoption—or perhaps, more accurately, the increasing need for adoption—of digital supply networks (DSNs), which allow for the integration of data and information from disparate sources and locations to drive the physical production and distribution of manufactured goods.2 Traditional value chains are becoming value networks characterized by a matrix-like design that allows organizations to send and receive data and information to or from any point in their ecosystem to better meet shifting market conditions and unlock new forms of value. While many companies are aware of the benefits DSNs can offer, a majority still remain slow to fully embrace this increasingly important digital shift. This disparity is clearly shown in the results of the study described in this report, jointly executed with the Manufacturers Alliance for Productivity and Innovation (MAPI), where we uncovered a notable disconnect between respondents’ opinions of their DSN efforts vs. the actual work they have done to implement DSNs across their organizations (figure 2). Specifically, 51 percent of respondents believe their DSN maturity is at least “above average” when compared to their competitors, even though only 28 percent of the respondent companies have begun implementing DSN solutions (figure 3). While this disconnect could be attributed to a general “over-optimism” that occurs among some company executives when reflecting on the competitive standing of their business, the resulting blind spot could have devastating consequences for a manufacturer that does not recognize the implications of inaction and the resulting potential for disruption. For example, our survey results suggest that supply chain transparency is the number-one operational goal for many manufacturers, as it represents the key to significant efficiency gains. Yet only 6 percent of survey respondents are part of a manufacturing ecosystem in which every member can see each other’s data. Clearly, there is room for improvement in terms of DSN adoption. This study has been jointly conducted by Deloitte and the Manufacturers Alliance for Productivity and Innovation (MAPI). Its primary focus is to engage manufacturing executives in a conversation to create a better understanding of companies’ journey toward designing and implementing systems that integrate data and information from disparate sources and locations to drive the physical act of producing and distributing manufactured goods. In conducting this research, we surveyed more than 200 companies operating in the manufacturing sector and conducted more than a dozen executive interviews on the opportunities and challenges involved in implementing a DSN. The problem is, many manufacturers do not understand which individual digital technologies will yield the most business value for them, or whether the time is right to invest in making a change. After all, competitive advantage is only worth pursuing if the payoff is worth the investment, which causes many organizations to wait for “proof” they are on the right track—which ultimately leads them to move at a slower pace than is required to avoid being disrupted. On a positive note, nearly two-thirds of survey respondents say they are prioritizing DSNs in their strategic objectives or are planning to start implementation shortly. Wherever you think you are on your digitization journey, you are already behind. The space is developing faster than people can conceptualize. Based on our survey data, most of the executives queried believe that DSNs can provide significant advantages over traditional linear supply chains, including the ability to speed up the decision-making process and to improve profitability by increasing their top and bottom lines. While just over half of the survey respondents believe that DSN implementations can catalyze significant change in their organization, only a handful of the executives surveyed see its full potential, with only one out of ten saying they expect a DSN to provide an exponential benefit (figure 4). Digging deeper, increasing sales efficiency and effectiveness was the most important financial goal for almost a quarter of the respondents, with reduced operating costs and improved pricing and margins following close behind (figure 5). But while the benefits may be clear, the path to transitioning from a traditional supply chain to a connected, nimble, and scalable DSN is not always obvious. In part, this is due to the inherent differences between the two models, as well as the plain fact that no one company operates in the exact same way as another. It is important to note that there is no single path or approach that organizations can take toward connectedness. Instead, companies should tailor their DSN journey and individual implementations to meet their own specific needs, based on their existing infrastructure, talent base, culture, and technological requirements (figure 6). What is the strategic vision they are working toward (i.e., where do they want to play)? How do they execute in sprints in order to start down the path without having all the details worked out? We know we have a ton of data—what we need is to have a specific question and plan more accurately. Start with a question and then see what data we have. By testing solutions to specific business problems using discrete technologies in specific parts of their supply chains, companies looking to create a holistic DSN can rapidly determine what technologies best meet their needs, discard those that don’t provide the benefits they seek, scale the ones that do, and evangelize their successes to gain further buy-in from senior executives for future development. The top three DSN initiatives that manufacturers are focused on over the next 12 months include supply and demand planning/synchronization, existing technology infrastructure improvements, and risk assessments (figure 7). In terms of demand planning, the issue of improving forecast quality resonated with the majority of executive interviewees, whose current levels of accuracy ranged between 70 percent and 75 percent, resulting in significant cost inefficiencies due to factors including redundant transportation of raw materials and finished goods. The need to focus on infrastructure improvements also echoed across several executive interviews in which participants said that many of their DSN aspirations were being put on hold until their company’s aging IT landscape could be sufficiently modernized. While this appears to be a very practical approach, it can also represent a significant barrier to DSN implementation, as companies often do not have the funding, resources, visibility, or coordination required to accomplish large-scale IT landscape improvements. The majority of manufacturers are focused on advanced analytics when it comes to individual technology investment, with 40 percent of respondents listing this as the technology most important to their business (figure 8). Other technologies drawing large investments include modeling and simulation (34 percent) and optimization and predictive analytics (32 percent). In short, blockchain increases the transparency of data flowing between ecosystem partners while reducing both the cost and risk of moving information across a supply network. As organizations develop a greater understanding of this relatively nascent technology and the value it represents, we expect adoption rates to increase rapidly. The specific technologies that companies choose to implement can vary greatly based on the size of the company conducting the implementation. However, in general, we found that most manufacturers are investing in advanced analytics, cloud computing, and Internet of Things (IoT) platforms. As shown in figure 9, our survey found that smaller companies (annual revenues of less than $1 billion) are investing most heavily in advanced analytics, while large companies (annual revenues of more than $5 billion) are more focused on cloud solutions. We have all these systems trying to tell us things, but we haven’t organized or fine-tuned them to be able to listen and turn it into meaningful actions. Amid increasing regulatory and customer scrutiny of vehicle quality and safety, an automotive OEM was experiencing ever-increasing warranty expenses and recall execution costs driven by a reactive approach to issue identification, a long turnaround time between issue identification and resolution, and the inability to track the effectiveness of production and field fix issues. Real-time data captured by sensors on the manufacturing line and in vehicles was aggregated with quality, warranty, and safety data to populate a cloud-based data lake. Advanced analytical techniques, including text clustering, probability analytics, concept extraction, and event history were utilized to identify potential issues. Digital user interfaces were leveraged to drive user adoption and enhance employee ability to translate insights into action. An end-to-end set of dashboards was utilized to create visibility into priority issues, enabling the execution of field fix implementations sooner. In addition to enhancing the overall level of product safety for their consumers, the early identification of quality issues (13 months earlier than before) enabled annual savings of $24–$36 million. Surprisingly, only a third of respondents say that a DSN is critical to the future health and development of their organization because it facilitates engagement with internal and external stakeholders. On the other hand, more than half (52 percent) believe that a DSN is extremely important to the future of their company because it will allow them to make better decisions faster (figure 10). Furthermore, our survey respondents say that the most important operational goal that a DSN can provide is to increase efficiency by improving internal and external transparency throughout the supply network (figure 11). Other key operational goals include reducing risk, increasing speed to market for new products, and improving product quality. While desirable, increasing transparency remains a tricky goal to achieve, as trust issues over the security of valuable production and financial data between manufacturers and suppliers mean that neither side is eager to share information with the other. This should—and must—change, however, as organizations start to define strategies to address key risks while collaborating in areas that drive value. Maintaining unnecessary barriers to information will be an increasingly significant source of competitive disadvantage for manufacturers. Instead, companies should critically evaluate the risks associated with enabling greater transparency in order to extract value and create or maintain a competitive advantage in the marketplace. We use between 1,500 and 2,000 suppliers, but 70–80 percent of our spend is tied to just 150 companies, so to get even 75 percent of those collaborating through a digital network would improve our insight into inventory by 65–75 percent. Though many executives realize that digital transformation can bring many benefits by streamlining the supply chain and allowing for more efficient transport of raw goods and finished products, measuring and extrapolating a DSN’s exact return on investment still can be difficult prior to implementation. For this reason, one of the greatest difficulties companies can face in implementing new DSNs is getting buy-in from top executives. Our study found that the biggest organizational barrier many companies face is securing the proper funding for a DSN initiative (figure 12). Interestingly, budgetary constraints are the biggest barrier for large companies, where it is likely that competing priorities across various departments make it more difficult to secure the required funding. Larger organizations also tend to be reluctant to abandon the “tried and true” in favor of new, disruptive technologies. 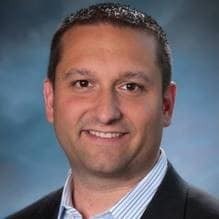 To combat this “if it ain’t broke, don’t fix it” mentality, it can be particularly important for companies to start small and conduct discrete proof-of-value initiatives where they can pilot technologies and measure performance change in specific areas without affecting their full supply chains. Companies that are too conservative in their approach often end up doing themselves more harm than good by planning too much and waiting too long before finally implementing initiatives that are too large and complex. In the end, these companies risk being late to the game and implementing solutions whose value is hard to measure because of the time it takes to show an improvement or the overall scale of the implementation. Instead, companies should adopt a “Digital Foundry” approach where ideas that have breakthrough potential in terms of business impact are generated and screened before being prototyped and piloted in a sequence of sprints. Successful ideas where tangible benefits can be demonstrated are then launched and scaled throughout the organization. In this way, companies can reduce the barriers to DSN implementation and effectively manage their exposure to risk by validating ideas using defined steps in a controlled environment.8 At its core, the Digital Foundry is an aggregation of services that blends strategic expertise, governance, agile delivery methods, and innovative thinking with enabling technologies. The goal of the Digital Foundry is to enhance decision-making, inject energy into converting ideas into actionable plans, increase efficiency, and deliver measurable value. While funding new DSN projects is a key barrier for many organizations, it is far from the only challenge organizations face when trying to implement a new DSN. When asked to identify specific challenges they face, the majority of survey respondents said the biggest issues they need to overcome to implement DSNs are finding and training employees (figure 13). To put this in perspective, Deloitte’s study on the skills gap in US manufacturing showed that nearly two-thirds of current manufacturing employees lack the computing, technical, and problem-solving skills necessary to function in increasingly advanced production facilities, with 60 percent of these workers also possessing insufficient math skills.9 As a result, we estimate that as many as 2 million US manufacturing jobs are likely to be unfilled over the next decade. Interestingly, 59 percent of our survey respondents also say they believe their companies currently have enough workers with the right skill sets to implement their DSN strategies. As most companies are still very early on in their DSN journey, their current talent profile may indeed be adequate to handle the relatively small number of pilot initiatives underway. However, as each company’s journey evolves and DSN initiatives are scaled, talent shortfalls will likely become increasingly apparent.10 Successful enterprises will recognize that their internal employee base is only one part of the talent equation. These companies will look across the larger ecosystem in order to tap into the talent and skill sets of their business partners to fill gaps in the system and unlock further value. With fewer students and job seekers actively looking for positions in supply chain management, organizations should take it upon themselves to develop training and recruitment programs that can attract new candidates to fill these increasingly critical roles. For now, forward-looking companies are increasingly relying on technology and automation to help ensure that critical skills are not lost while a new generation of employees is trained. Other solutions being tested by some companies involve forging alliances with educational institutions to identify and develop potential resources as early as possible. By adopting and implementing new, advanced production techniques, companies are working to insulate themselves from the risks of an aging workforce by helping to ensure that jobs currently performed by highly skilled employees can still be carried out, even with reduced staffing. It is obvious that many of our respondents—including those who believe they currently have the talent they need—are aware of this pressing issue, with 70 percent saying they see DSNs as a long-term, strategic objective requiring them to maintain a full-time staff of skilled onsite employees. While finding people to fill open positions sounds like a relatively simple barrier for organizations to overcome, finding the right talent can be a huge challenge, according to a strong majority of the executives we interviewed. Further, identifying skilled workers who can adapt to changing work roles and responsibilities can be even more challenging, as well as more important. When asked to list the most essential traits employees can bring to the table, 17 percent of respondents said competency is the most important factor in their hiring decision. On the other hand, 28 percent of respondents listed versatility and adaptability as the most important traits they seek in a new hire. While finding the “right” talent is critical to the success of a company’s DSN initiatives, letting that talent function effectively within the organization may be even more important. Because of the cross-functional nature inherent in the development and implementation of a DSN, organizations will benefit from proactively addressing the internal conflicts and organizational infighting that can—and often do—doom even the most important company-wide initiatives. In fact, 37 percent of our survey respondents say overcoming resistance to change is the greatest risk to the success of their DSN initiatives. To address these issues, executives should consider developing greater visibility into their organizations to identify barriers to change, and implement solutions that can quell the corporate infighting that can sideline their DSN initiatives. While resistance to change is a major issue, respondents say that fears around cyber risk are another key issue hampering their move toward DSNs. In fact, 17 percent of our respondents say that cyber risk is the primary reason they are reluctant to provide production data to their outside suppliers. Further feeding their cyber risk fears is the fact that 40 percent of respondents say their companies have not conducted an internal cyber risk assessment within the past year, while 22 percent say they are not sure if these assessments have been performed (figure 15). This lack of certainty regarding their potential cyber vulnerabilities is a key factor keeping companies from sharing production data with vendors and suppliers. In fact, 43 percent of respondents say they lack visibility into aggregated data across their own internal networks, while 28 percent say they can see across their external supply networks, but their suppliers cannot see their internal data. While our survey shows that manufacturers still have several hurdles to clear on their journey toward the implementation of DSNs, our respondents are nevertheless very positive in terms of where they currently sit on their digital transformation trajectory. Looking at five characteristics required to create a fully mature DSN (figure 16),13 there was a remarkable uniformity of opinion among our respondents. When looking at their current state of maturity, between 41 percent and 51 percent of executives rated themselves as either mature or very mature across each of the five characteristics. This brings us full circle to the disconnect identified at the beginning of this discussion, where we reported that manufacturing executives currently have an overly optimistic assessment of their own level of DSN maturity. For example, it seems highly incongruous that 45 percent of respondents rate themselves as very or fully mature in being part of a “connected community” in which the entire value chain benefits from centralized, synchronized data—when only 6 percent of survey respondents say their entire supplier ecosystem can see each other’s data. It is this inability to either recognize or admit the reality that DSN implementation is still in a very early stage of development for most manufacturers that underpins the potential for significant disruption in the sector. Even as we look to the future, less than 70 percent of our respondents suggest that they are interested or very interested in achieving each of the characteristics of a fully mature DSN, suggesting that more education around the potential benefits of DSN maturity would be highly beneficial. Our most recent study provides many positive results that show that interest in developing and deploying DSN capabilities remains strong across the manufacturing sector. But the results also suggest that the DSN is still very much an emerging field that many organizations have not yet fully embraced or taken the time to understand. While the executives we surveyed showed near-universal interest in the benefits that DSNs can provide—increasing efficiency, accelerating speed to market, and improving both their top- and bottom-line numbers—their responses also revealed that many organizations face several internal and external challenges before they can realize the full potential a DSN can offer. Think big. There are significant benefits, both upstream and downstream, that companies can realize from DSN implementations. Companies looking to tap into these benefits should break out of a traditional, linear mind-set to ask what value can be created from having data and information immediately available to every member of a manufacturing network. Start small. In business environments where resources are tight and competition for investment is fierce, companies can identify and prioritize discrete proof-of-value projects where digital transformation strategies can be tested and the tangible ROI of DSN implementation can be demonstrated. Waiting for large-scale IT transformation projects to be completed or for overly complicated implementation strategies to be developed can increase the risk of disruption from more agile competitors. Instead, companies can gain near-term traction by starting their DSN journey with a few small steps designed to solicit board and C-suite support for larger implementations down the road. Scale fast. Once a DSN implementation has been proven to deliver a sufficient return on investment, companies should position themselves to expand the effort across the enterprise. Companies should also be thinking creatively in order to address key challenges such as finding, training, and retaining skilled talent to manage rapidly evolving DSN solutions. Successful companies can also use DSN implementations as a competitive differentiator while changing the organization’s internal culture to promote a more strategic approach to creating value and meeting customer needs. When properly deployed and managed, DSNs can offer companies a competitive and financial advantage over slower-moving competitors. The fact that a DSN can allow for near-instantaneous manipulation of upstream and downstream supply chain activity makes it incredibly attractive for companies looking to unlock new sources of value. Going forward, the nature of a globally integrated, hyper-competitive manufacturing sector means the pace of DSN adoption is likely to accelerate dramatically as organizations recognize both the utility of advanced technologies in transforming their business and the negative implications of getting left behind. Stephen Laaper, based in Boston, MA, is a principal with Deloitte Consulting LLP. 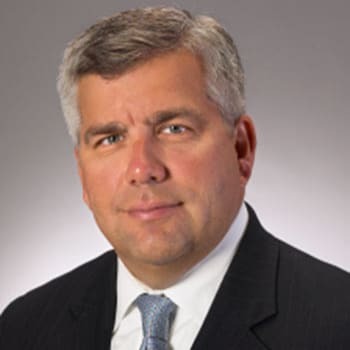 Glenn Yauch, based in Chicago, IL, is a principal with Deloitte & Touche LLP. 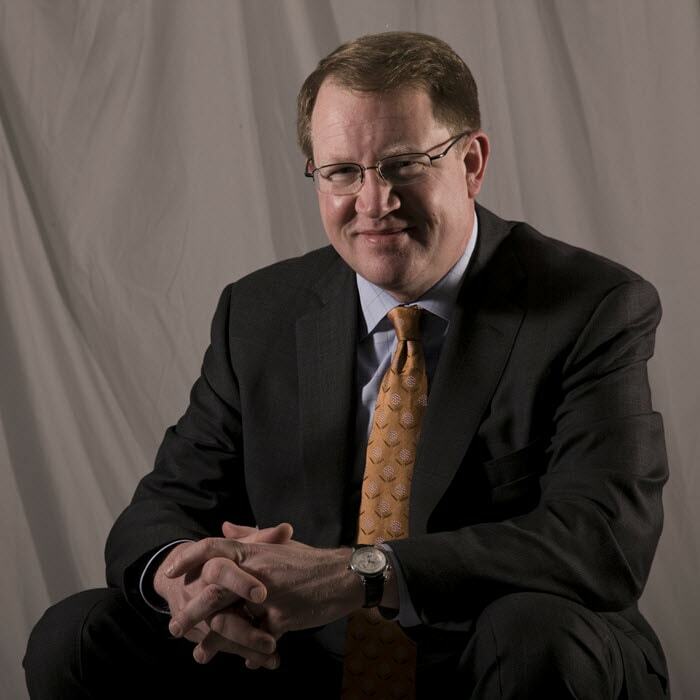 Paul Wellener, based in Cleveland, OH, is a managing principal with Deloitte Consulting LLP, where he leads the US Industrial Products and Services practice. Ryan Robinson, based in Toronto, Canada, is a research lead with Deloitte LLP. We would like to thank the tremendous team that helped with the development of this research and report, including Aditi Rao, Manager; Srinivasa Reddy Tummalapalli, Assistant Manager; and Ankit Mittal, Senior Analyst, all of Deloitte Support Services India Pvt. Ltd. Embracing a digital future has been added to your bookmarks. Embracing a digital future has been removed from your bookmarks.